On September 27, 2006, with the release of Second Life optional update 1.12.1(12), Linden Lab changed the in-world clock to read as Pacific Time instead of Second Life Time. According to Linden Lab blog spokesperson Torley Linden, “ ‘Pacific Time’ and ‘Second Life Time’ are synonymous.” Torley Linden continues “We’ve certainly had confusion from new [residents] asking ‘What’s (sic) SLT stand for?’ or ‘what *is* Second Life time?’” Well, the simple answer is: SLT is the time in Second Life! I can see how this might be confusing for some, but…well actually, I can’t. 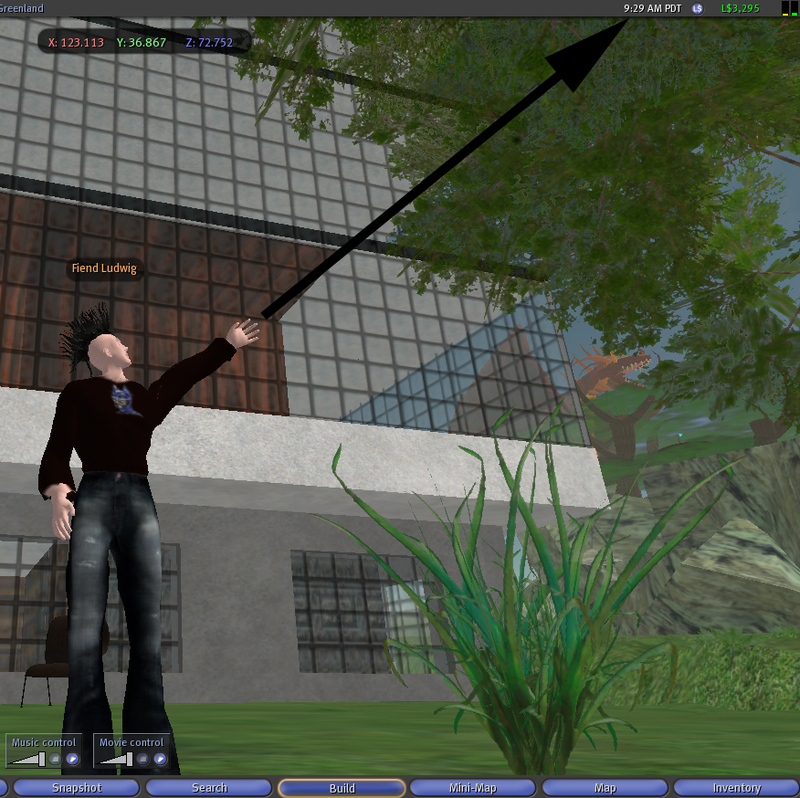 Many, many Second Life residents do not come from North America where PST is a recognized acronym for Pacific Standard Time. To Canadians it is doubly confusing, as PST is also the dreaded tax that gets added onto purchases by the Provincial government (Provincial Sales Tax). To others, it is a file where all of their Microsoft Outlook emails are magically stored. Perhaps it would be more fun if SLT was changed to CXT (Christmas Island Time, UTC + 7) or HADT (Hawaii-Aleutian Daylight Time, UTC -9). Or perhaps it should just stay the way it is. SLT (Second Life Time UTC +/- ∞). Simple, yet temporally obscure. And don’t even me started on Pacific Daylight Time.